We decided that we needed a Senior Pastor and four assistant pastors – a Youth Pastor to care for under- twenties, a Community Pastor to take care of people and our community, a Creative Pastor to focus on the creative side of church and an Executive Pastor to handle the strategy and administration of the church. 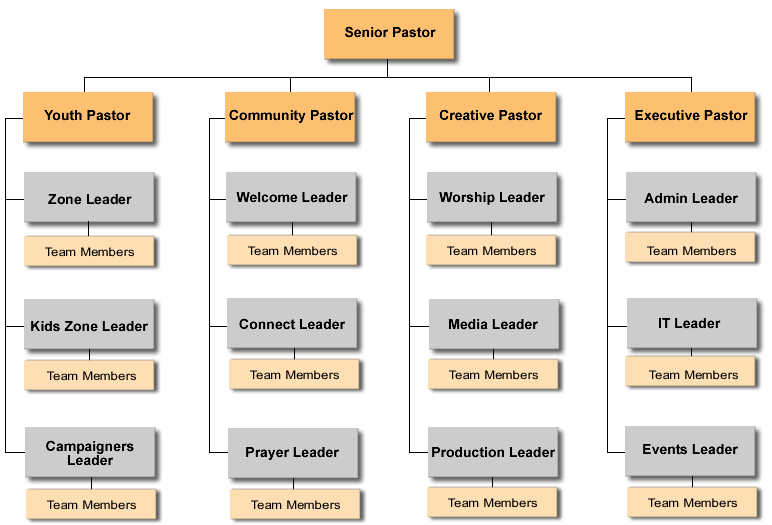 We allocated each pastor with three teams to manage. So lovely to talk about young leaders. Young people often get such bad press – great to hear of such positive things happening with and through and for young people.